North Adams | Will You Miss Me When I'm Gone? We’re definitely old enough to have experienced Brazilian rock band Os Mutantes in its first incarnation in the mid-Sixties. But timing isn’t really everything. We grew up in a household where listening to rock ‘n roll (aka The Devil’s Music) was, shall we say, not encouraged. 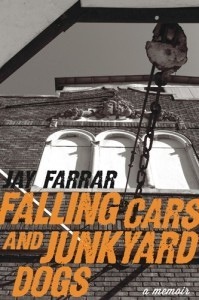 And we lived in a community outside of Philadelphia where conformity ruled. And being 11, or so when Os Mutantes started making music, we were at a tender age where that type of pressure was pretty effective in keeping us in line. 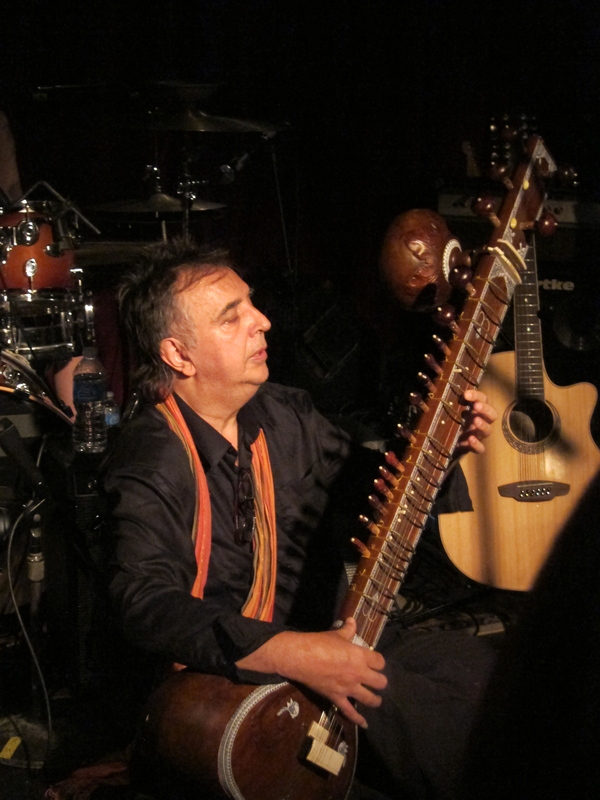 Sérgio Dias shows off his sitar skills. On top of everything else, Brazil might as well have been the other side of the moon. 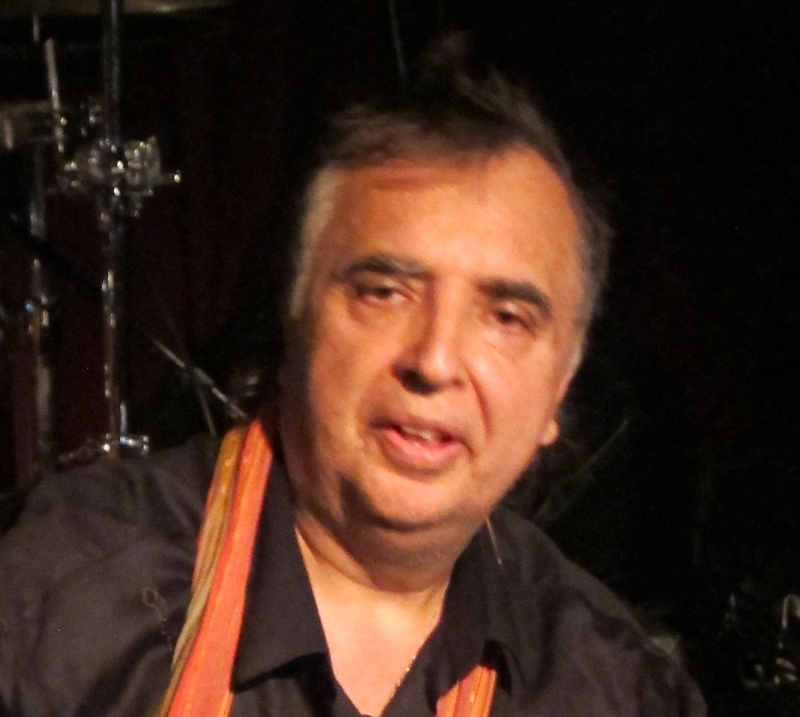 So, all in all, it’s no surprise that we didn’t know anything at all about Os Mutantes — founded by brothers Arnaldo Baptista on bass, keyboards and vocals and Sérgio Dias Baptista on guitar and vocals — until the psychedelic band started its Second Act when it reunited in 2006. We’re sorry we missed the band’s First Act, but we were hardly alone among American music fans. And we’re thrilled we didn’t miss the Second Act. 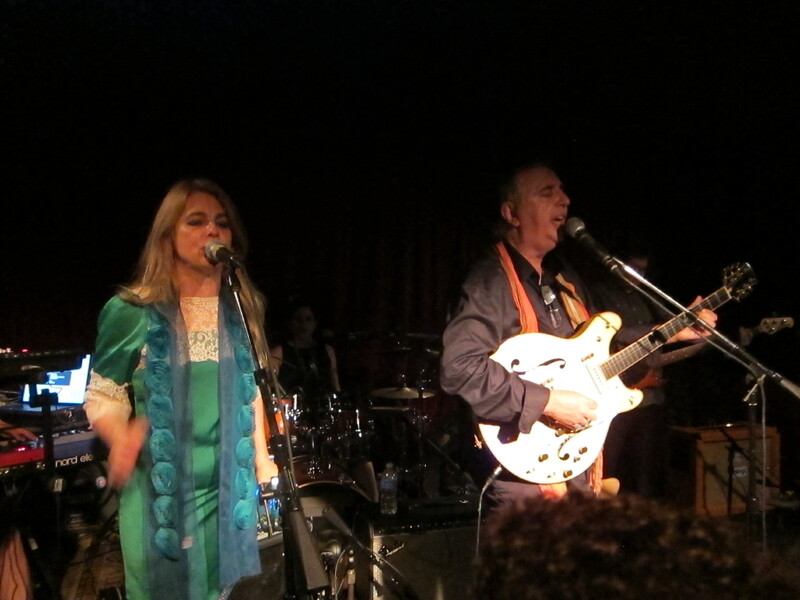 Singer Esmeria Bulgari with Sérgio Dias of Os Mutantes at Maxwell’s. Will You Miss Me When I’m Gone? has told you before, and is taking this opportunity to tell you again: Solid Sound, Wilco’s music and arts festival at MASS MoCA is one of the best music festivals ever. We’ve attended the first two editions and have no intention of missing V3 this year — on June 21-23 at the museum in North Adams, Mass. A view of the Solid Sound Festival at MASS MoCA. We felt a void this year. 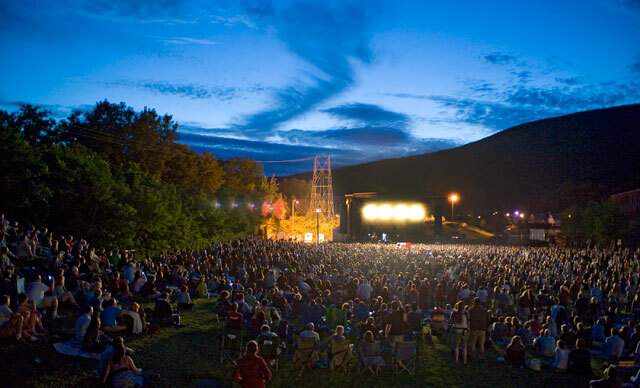 After staging the Solid Sound Festival for two years in a row on the campus of the Massachusetts Museum of Contemporary Art in North Adams, Mass., Wilco decided to skip 2012. It was disappointing. But that makes today’s news all the more delicious. I suppose it’s no surprise. The fantastic three-day event requires an enormous amount of planning and commitment from every member of the band and it support staff. And while I’m sure the band didn’t lose money on the festival, it’s unlikely that it was a huge moneymaker, either. 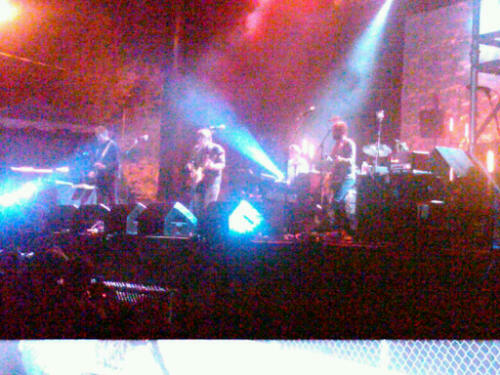 Wilco perfoms on the main stage in Joe’s Field at MASS MoCA. 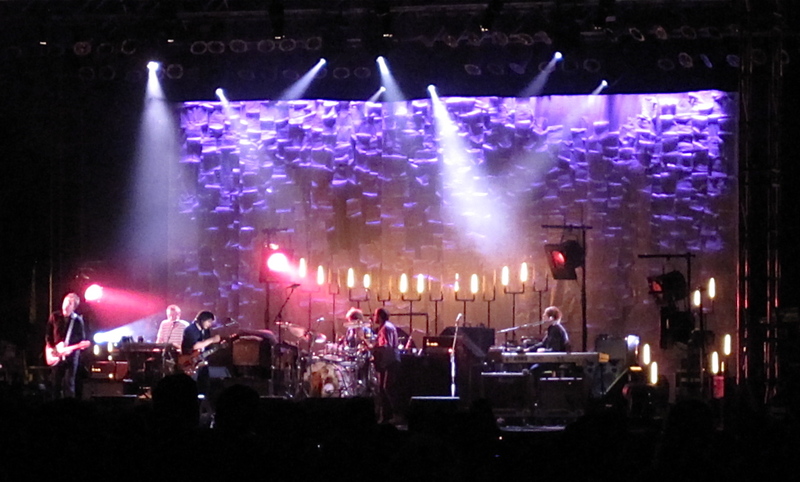 Wilco promised to return to the beautiful Berkshires in 2013, and the band is keeping that promise. “Early Worm” tickets for next year’s festival — running from June 21-23 — are available right now. Those tickets are just $99, and well worth it. Click here to get tickets now. Once they’re sold out, a limited number of “Early Bird” tickets will be available for $124 — still a relative bargain. If you wait too long, you’ll have to settle for the $149 regular three-day passes. Solid Sound is a family friendly event, with three-day passes for children ages 7-10 priced at a mere $50, while kids 6 and under are free. If you can’t go all three days, or think you won’t want to (bad idea, in our opinion), there will be a limited number of one-day passes. 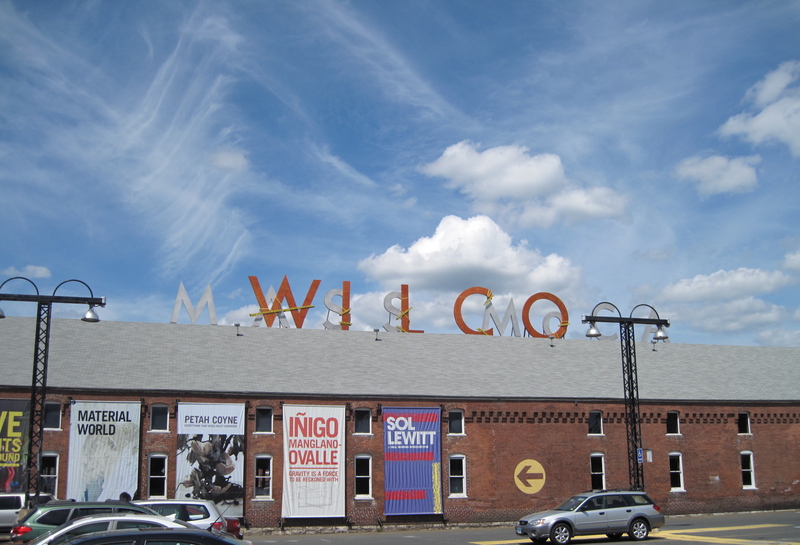 The festival promises two headlining Wilco sets on a fabulous field next to the factory complex that houses MASS MoCA. Wilco side projects and bands and comedians curated by Wilco members also will perform. You can also count on art installations, probably some films, and definitely a lot of great food and drink. Plus, in the past there have been pop-up stores, a coffee shop imported from Chicago, Wilco’s Jeff Tweedy in a charity dunk tank and falconry demonstration. Oh, and we shouldn’t forget about access to the amazing exhibitions in the museum itself. The people who run the museum are fully invested in this festival — they’re not just renting the space out to the band. The first two editions featured acts such as Mavis Staples, Levon Helm (RIP), Mountain Man, Thurston Moore, The Books, Syl Johnson, The Handsome Family, The Baseball Project, Here We Go Magic, Autumn Defense and many more. While the 2013 lineup won’t be finalized for quite awhile, we guarantee this will be a great festival for anybody who likes Wilco. You don’t need to be a super-fan to enjoy this festival. 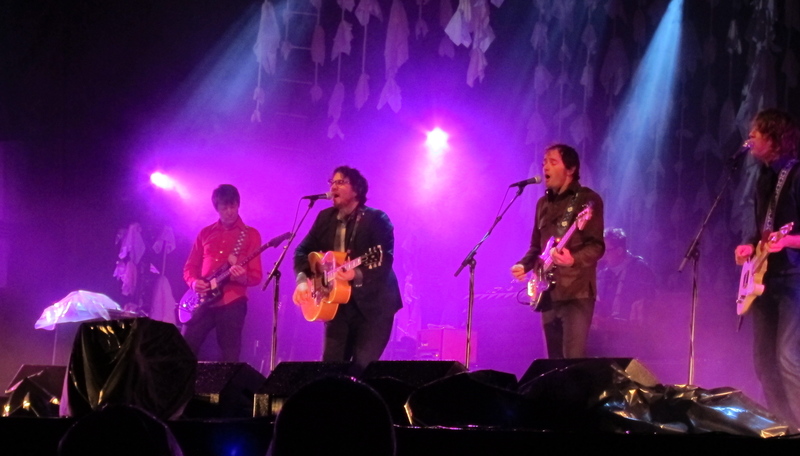 Jeff Tweedy and the other members of Wilco have diverse tastes in music and art, and all of those tastes have been on display in previous editions of the festival. Camping and transportation from New York City and Boston is also available. 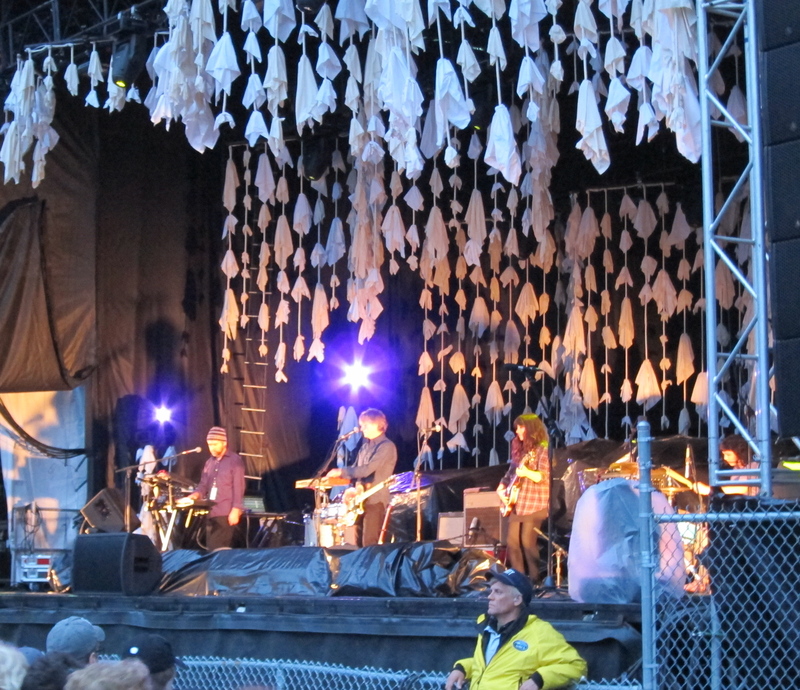 Wilco could have played all night Saturday and nobody would have complained. Okay, maybe a neighbor or two above Joe’s Field, the venue for the mainstage shows. Wilco created the Solid Sound Festival at MASS MoCA, so it’s not a surprise that it is a great event. But it’s the friendliest, least commercialized music festival I can remember. It’s a very pleasant surprise. This show was no sell-the-new-CD trip. Jeff Tweedy and company were having a great time and it showed. Here’s hoping they make the Solid Sound Festival an annual thing. It’s a great core concept and MASS MoCA is a perfect, well-run venue for it.